Today’s oil and gas companies must address many challenges to their traditional business models including the rapid emergence of available and economic renewable energy sources, ever tightening greenhouse gas emission policies and increased stakeholder expectations around transparency and social license. Whilst there is uncertainty regarding the impact of these developments, enormous opportunity exists for companies to forge pathways to a decarbonised future while at the same time creating new markets, products and services and building sustainable businesses. A number of leading global and Australian oil and gas companies are embarking on programs to transition to a lower carbon and more diversified energy portfolio. These initiatives focus on integrating traditional and alternative forms of energy across value chains, making energy consumers central to their business models and increasing energy security for their companies and the country. 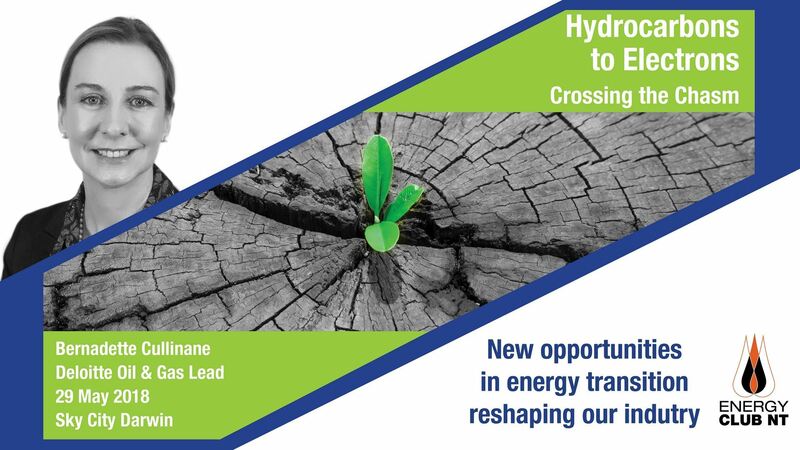 This presentation explores the energy transition that is profoundly reshaping our industry and provides insight into what leading companies are doing to not just prepare for - but to embrace this future - and cross the chasm…from hydrocarbons to electrons. Bernadette is Deloitte’s Australian Oil & Gas and LNG Leader. Bernadette is the co-founder and leader of the Energy Industry Collaboration Group, an organisation comprised of more than 30 service sector and operator companies focused on increasing collaboration and the competitiveness of the Australian oil and gas industry.